This gothic ankle bootie in mens sizes has lace up front and exposed brass zipper. 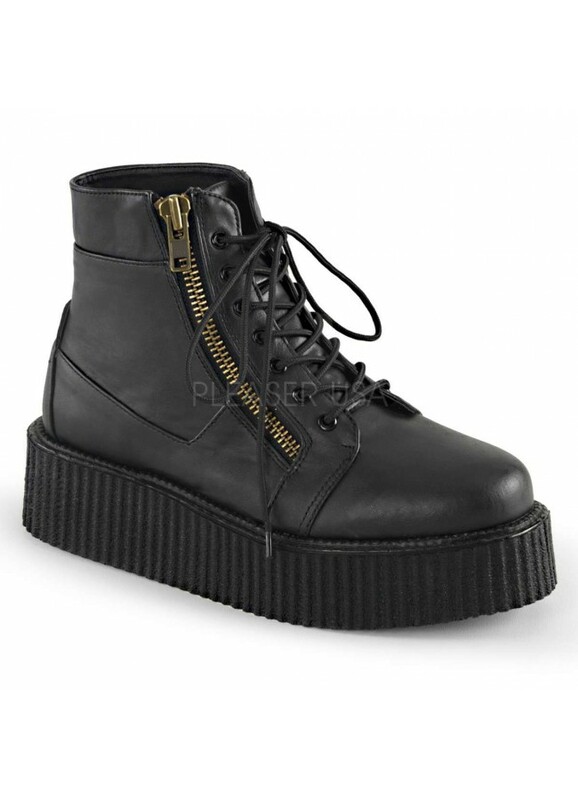 Black vegan leather Creeper bootie has lace up front, 2 inch vertical ribbed platform heel, and exposed brass zipper on side. Item Number: PL-V-CREEPER-571BVL | Approximate Size (Inches): 10.00 wide x 14.00 deep x 8.00 high | Approximate Shipping Weight: 4.00 lbs.